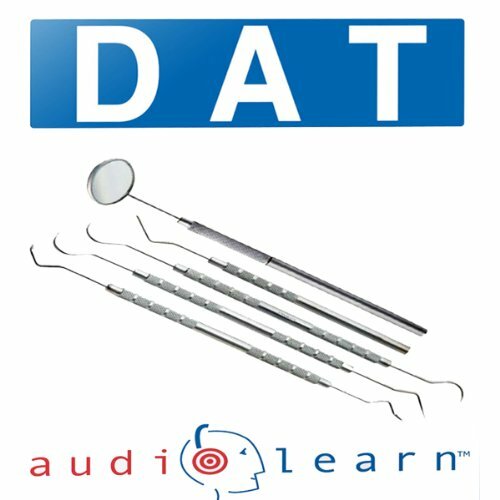 DAT AudioLearn is over three hours of science review for the Dental Admission Test (DAT). This innovative supplemental tool has been recommended by more students studying for the DAT than any other in the market. It remains one of the fastest and easiest ways to cram massive ammounts of information in the weeks and days leading up to the exam. With its convenient format, DAT AudioLearn fits your busy lifestyle, enabling you to study anywhere, anytime. Best of all, you'll significantly increase learning and retention with our proven approach. Overall a great purchase for a comprehensive REVIEW, don’t expect to learn how to solve problems. Bio: goes in depth on something’s and mentions others briefly. Gen Chem and Orgo: gives a good synopsis of reactions and concepts. Overall happy with this purchase. Would buy it again if I had too.